Tickets for AFL Pre-season Matches at Hickinbotham Oval Available Soon! Home > Blog > Tickets for AFL Pre-season Matches at Hickinbotham Oval Available Soon! Tickets to see the Adelaide Crows and Port Adelaide Power in action at Hickinbotham Oval will be available for purchase soon. AFL Club and AFL Members will have access to pre-sale tickets to see the Crows take on Brisbane and/or Port Adelaide vs Hawthorn from 9am - 5pm, Tuesday, January 31. Meanwhile, tickets will be available to the general public from 9am, Wednesday, February 1. Tickets can be purchased through Ticketmaster. AFL Club members with match entitlements will have free entry to the 2017 JLT Community Series matches in which their Club is competing. Members can scan their membership card for free entry into their matches (subject to capacity) or upgrade their membership to a reserved seat or register for a ticket in order to guarantee their entry (subject to availability, upgrade fees may be applicable). 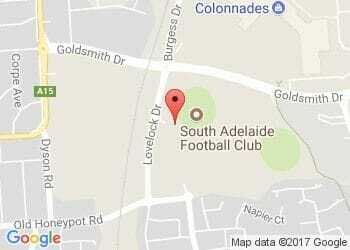 South Adelaide Football Club Memberships do not gain access to either match.